The car factory from the city of Nanjing, Jiangsu province, is the second Chinese enterprises, where in 1958, following the Changchun factory, the production of domestic trucks was set up with the help of the Soviet Union. This time for the basis was taken 2,5-ton GAZ-51A, which received the brand "Yuejin". The first version of the NJ130 was equipped with a Soviet 3.5-liter gasoline engine with a power of 82 hp, which was then produced in Nanjing under the NJ70 index. Soon the production of the petrol model "NJ134A" with a changed appearance and its version "NJD134" with the Chinese 70-strong diesel engine was started. They corresponded to the dump trucks "NJ330F" and "NJD330F". Since 1965, the production of NJ230 and NJ230A (4x4) cars identical to the Soviet GAZ-BZ and GAZ-63A has begun. Further development of the basic series went along the way of increasing the carrying capacity to 3-4 tons and the power of the main engine to 88-100 horses (models "NJ142", "NJ143", "NJ144"), as well as the creation of buses and special vehicles on their basis. In 1983, a license agreement was signed with the Japanese company Isuzu (Isuzu). The result of the contract soon became a new more advanced 3 tonne beskapotnaya series "NJ131". Along with licensed 4-cylinder gasoline and diesel engines with a capacity of 88 hp, they used the former "six" from the GAZ-51. In addition to the variants of the base machine, a new beskapotnaya series "NJ120 / 133" with a carrying capacity of 1.25 - 2.5 tons, as well as 1 tonne pickups "NJ221" and army trucks "NJ220" (4 × 4) was launched into production. After the reconstruction of the plant in 1986, the "NJ131" model was replaced by the more advanced "NJ1041" and "NJ1061" series, which replaced obsolete hood trucks. The next stage of development of the company "Yuejin" began in September 1986 with the signing of an agreement with the IVECO concern, which began the construction of a new assembly complex with an annual capacity of 60,000 cars of the TurboDaily family and workshops for the manufacture of 2.5 -liter diesel engines for them. In December 1994, the first serial cars "Yuejin-IVECO" (Yuejin-IVECO) of the series "30" and "40" with full weight of 3-5 tons appeared. 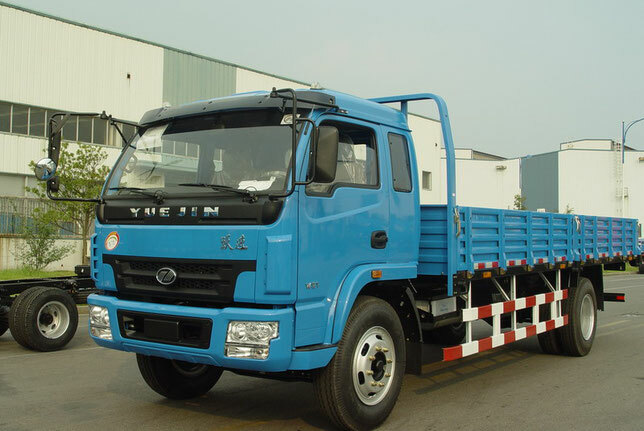 Established in 1995, "Yuejin Motor Corporation", abbreviated YMC, has become one of the leading Chinese manufacturers of trucks. In the mid-90's, it produced about 75,000 cars of more than 100 models. 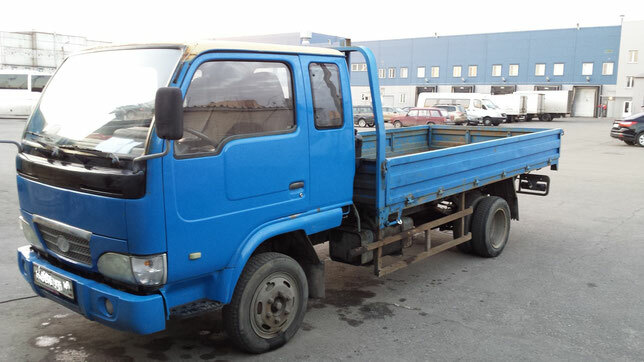 At the end of the 1990s, a new generation of Yuejin trucks with a total mass of 3.4 to 5.7 tons, similar to the Isuzu NHR / NKR, was in production. In China, they are offered in different versions with licensed power units and chassis components, as well as own cabins. The range included basic models "NJ1030", "NJ1043" and "NJ1062" with gasoline or diesel engines with a capacity of 80 - 112 hp, mechanical gearboxes, spring suspension, several wheelbase dimensions, short or long cab. The family of army cars consists of three models «NJ2041», «NJ2042» and «NJ2045» (4 × 4). Simultaneously, pickups "Isuzu" and Renault Renault vans are being assembled at the plant. The assembly of trucks "NJ1061" is established in Tanzania and Kenya.